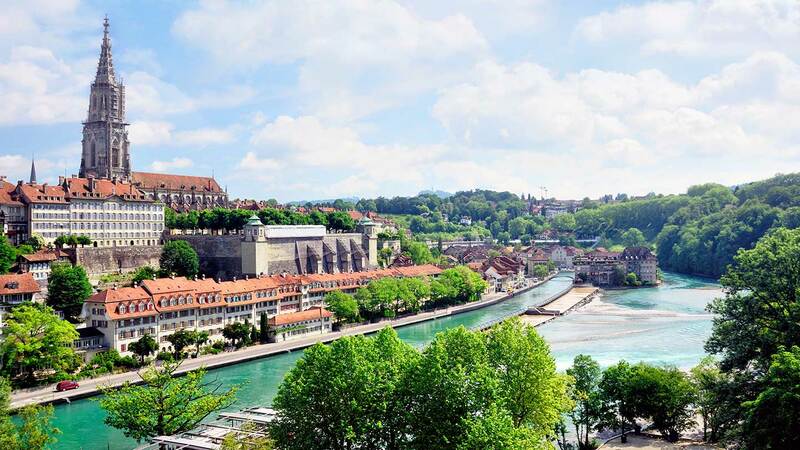 While most head for the Alps, Savant Spy discovers clean air and cool spas in beautiful Swiss cities Bern and Lausanne, two of the cleanest cities in the world. 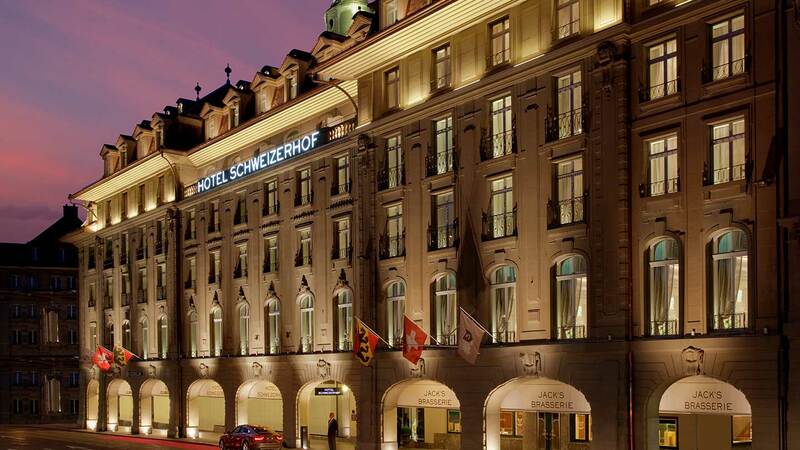 Hotel Schweizerhof is right opposite the station – a grand, classic hotel on the outside, modern and arty inside, with Paul Klee prints in each bedroom (the Paul Klee museum is nearby) and a glowing onyx reception desk. At the top is a lovely rooftop bar and restaurant, Sky Terrace, where you can eat and drink on comfy sofas and gaze out over sloping roofs, spires and clock towers to the mountains beyond. At the bottom, in the basement, is a very chic city spa. 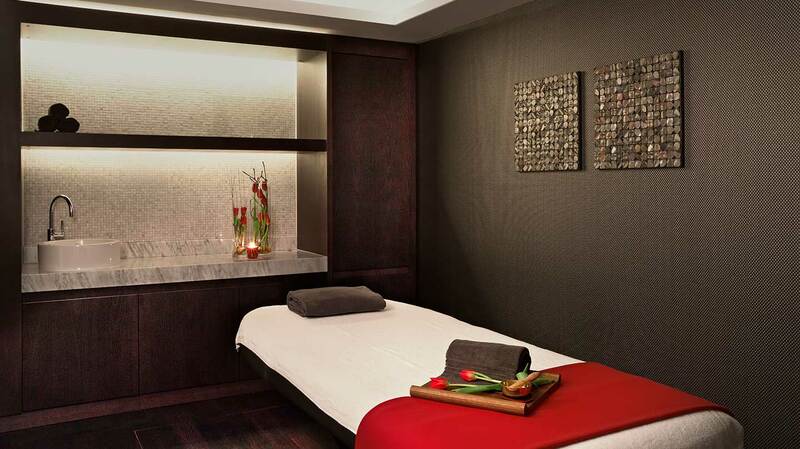 The elegant design, stylish lighting, relief artwork and spa scent created a fabulous first impression. I loved the glowing white waterbeds with rippling chiffon curtains in the relaxation room, the delicious iced tea, dates and fruit on offer. 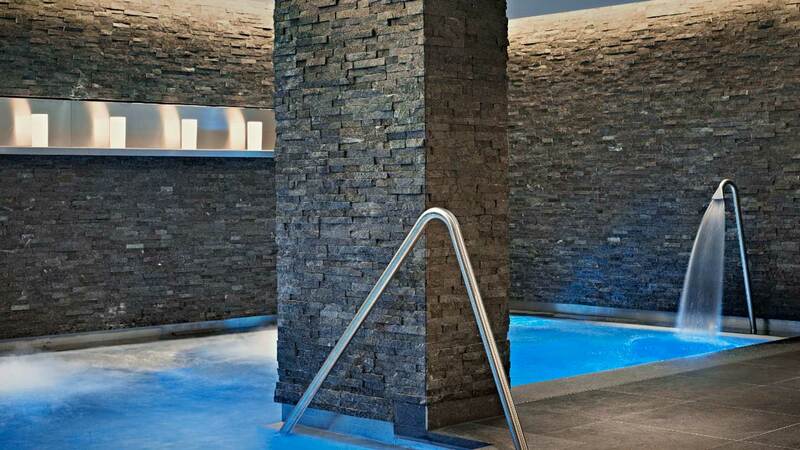 But the highlight was the beautiful thermal space, with split-face black slate walls, grey slate floors around a huge, gleaming metal hydro pool, gorgeously warm with various bubble stations and a shoulder massage pipe. After heating up in the wooden sauna, I was brave enough to dunk in the deep, icy cold plunge pool. 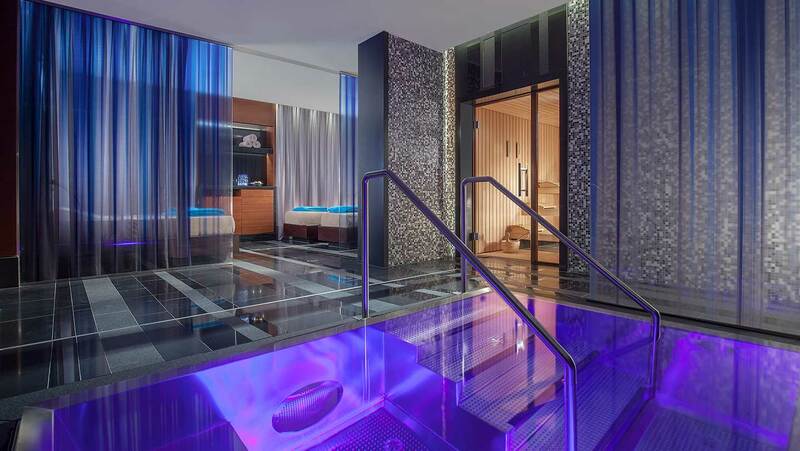 There is also a traditional hammam steam room, ice fountain, foot spa and experience shower. Everything is design-perfect. 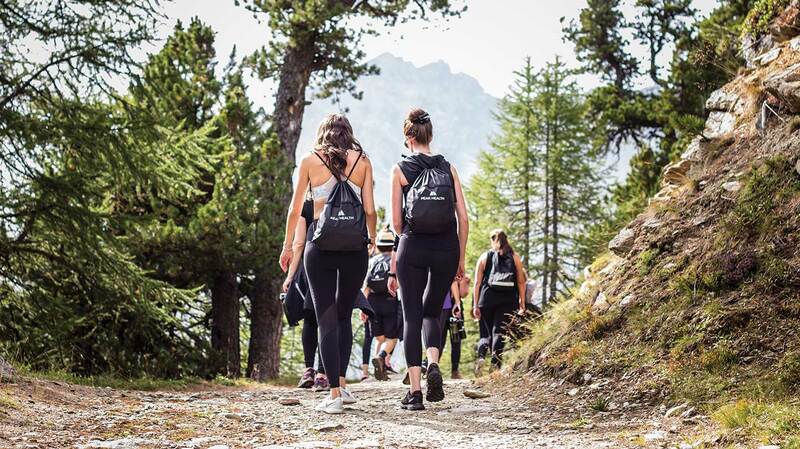 The spa offers serious detox breaks with your hotel stay, as well as less strict healthy and wellness breaks. Or you can just pop down to use the facilities and have a treatment, perhaps a leg or foot treatment after exploring the city. We had a Honey Bee massage, with honey from the hotel bees who reside in hives on the roof, lucky things. The honey is applied to the back with sticking movements to stimulate circulation – an unusual but pleasant sensation – followed by a knot-loosening all-body massage with Propolis, also produced by bees, and said to be great for detoxing, cellulite and hydration. My therapist Doris delivered expertly deep and flowing strokes that managed to undo my knots without causing any pain. My skin felt so hydrated: perfect after an easyjet flight. Don’t miss: Head over one of many bridges and up a steep path to the Rose Garden (Rosengarten), where you can sip local beers with the cool crowd and watch the sun set over the city spires. Another entrancing train ride along the gleaming banks of Lake Geneva took us to the beautiful town of Lausanne, Switzerland’s fourth largest city and home to the Olympic Council. 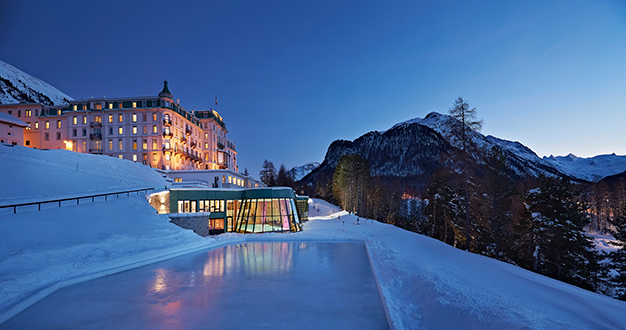 The Royal Savoy is a grand Art Deco hotel with turreted rooftops, Paris Metro-style gates and a glamorously eccentric lobby, part of the hotel’s impressive CHF 100 million (£79 million) refurb. The food here is divine, the service impeccable. It feels as though each staff member is top of their game – the signature chef Marc Haeberlin has three Michelin stars. The newly opened spa is a modern white building to the rear of the Japanese gardens, accessed via a glass walkway. 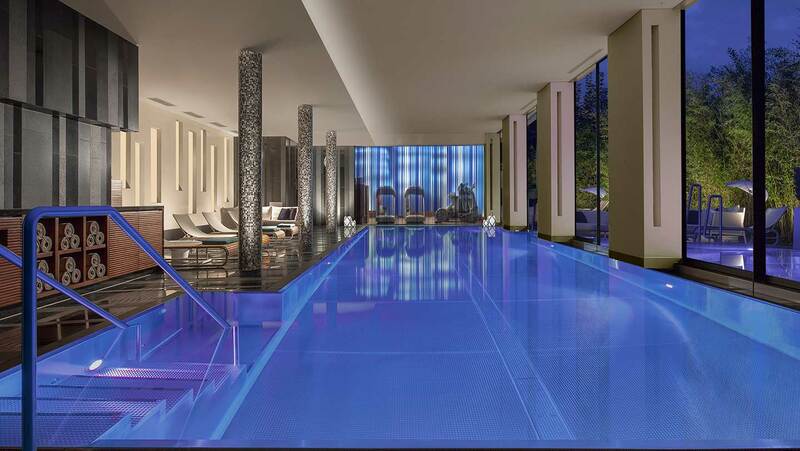 There is a stunning indoor/outdoor pool, beside which you can sunbathe on double beds in a secluded, decked garden, and rather dramatic, dark marble changing rooms, with their own bijou but elegant thermal facilities (steam, sauna and shimmering bubbly vitality pool) and four cosy and peaceful relaxation beds for post-thermal dozing. There are two private suites, one for couples and another for groups, but the treatment rooms are vast. I enjoyed a deep, flowing Aromatherapy Associates massage that tenderised my shoulders and limbs, with a lovely scalp and face massage. I slept like a baby that night (although that could have also been due to the delicious local Pinot Noir, and the legendary ‘candied cod’ at La Brasserie du Royal). The next day I had a very effective and refreshing facial with the Swiss brand La Vallée. My skin looked as though I had spent the two days enjoying fresh mountain air. 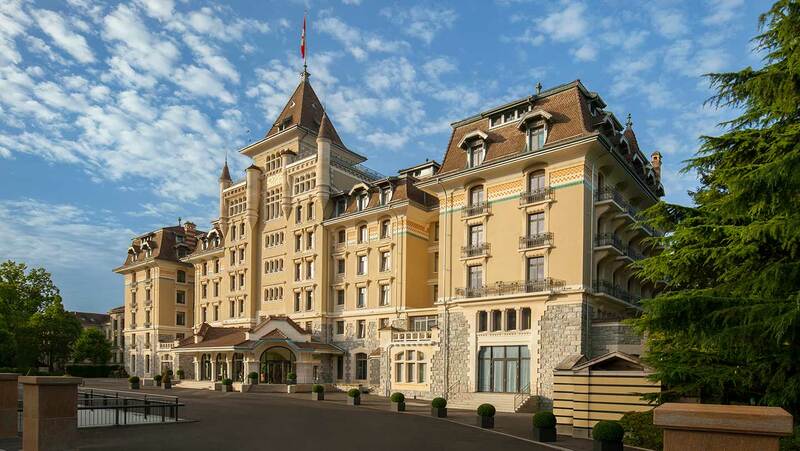 Don’t miss: If you want to channel your inner movie star, head to The Sky Lounge, where you can eat globally inspired tapas while drinking in the vast panorama of Lake Geneva and the mountains, so extraordinary it’s hard to believe it’s real. (I had a similarly sublime view from my 4th floor bedroom). A machine will take a selfie of you against said breath-taking backdrop, then send it to your phone, so you can inspire mass-envy on social media.